Hope everyone is well and enjoying some sunshine. I seem to have been busy this week but must make time today to get round to all your blogs for a visit. Love your papers and layout really suits the image. 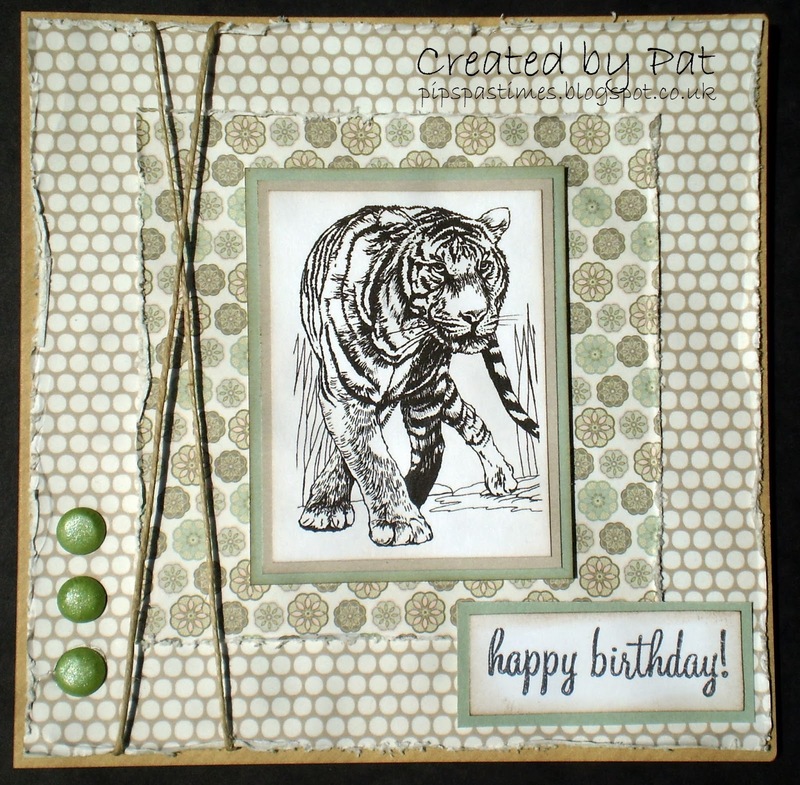 Just gorgeous with the natural tones and I love how you left the tiger uncoloured. Love the natural tones and how you left the tiger uncoloured. Oh wow. What a fab image and great papers too.Love it. Perfect design for this wild cat -- he looks mean!